A blog featuring my obsession……nail polish! While I was browsing through my photos, I realized that I barely had a red manicure. And not to sound lazy, but I hate cleaning red polish off my cuticles! It takes more time than I regularly take to do clean-up. But I felt the need to rock red nails, so I accepted the challenge! At first I was just in the need to wear red nail polish. 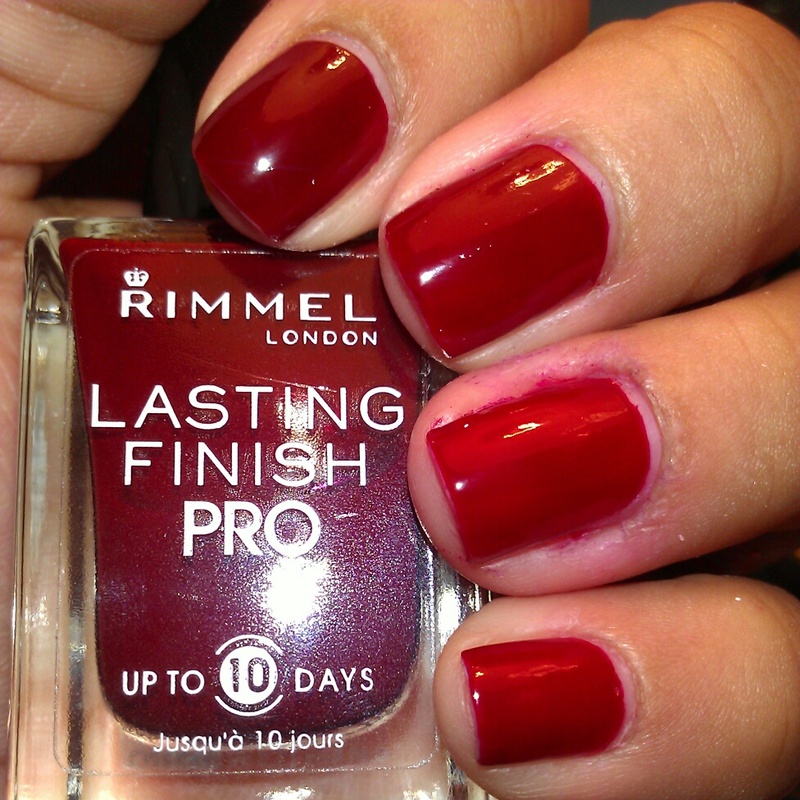 I decided to use Rimmel London Burgundy Flirt. To me this is one of the best red’s for the Fall season. Excuse the minimal clean-up I did in the photo above! As you can see it’s a beautiful red crème color. With just 2 coats it’s opaque. Also, I’d like to state that I love the brush in this polish line. They have a wide brush. Just perfect! It looked to simple so I added glitter! I just noticed that I’m starting to love adding glitter to everything! Ok, back to the polish. I added Xoxo Nails Love Potion. 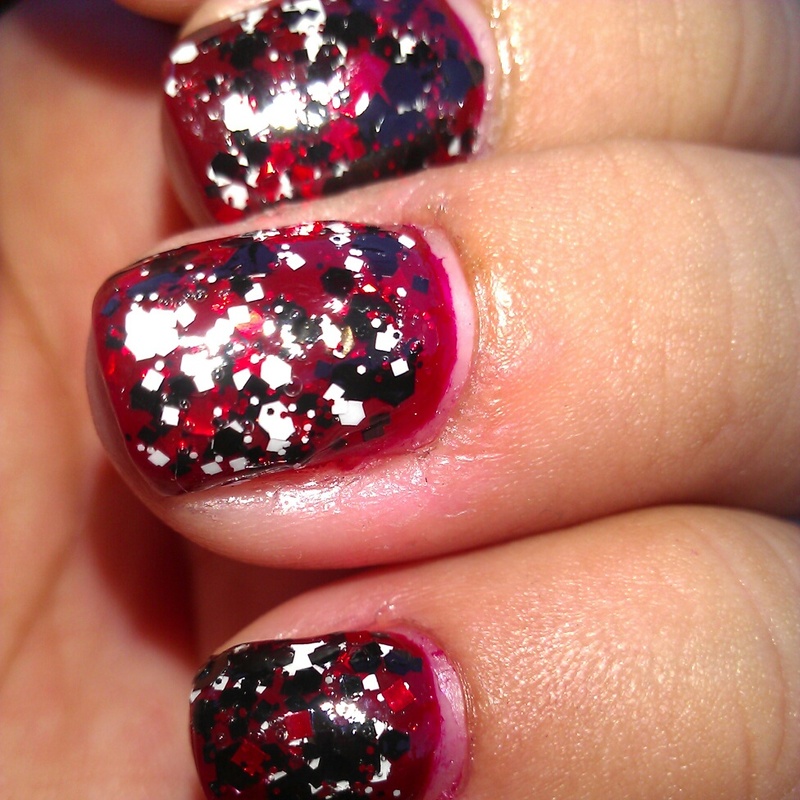 Love Potion has a clear base with red and black glitter. I love the black glitter! In the photo you also see white glitter, which is Xoxo Nails Angel Spell. At first I was going to just use Angel Spell but I went with more glitter! Hope you liked! Do you have a favorite red polish, or glitter? Let me know in the comments. Thanks for stopping by, take care! 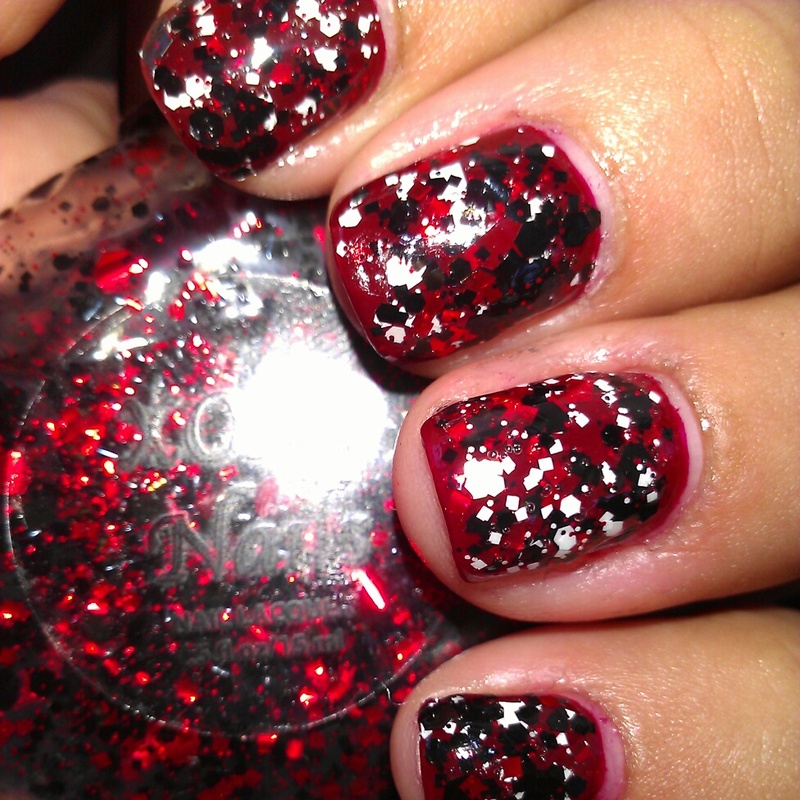 This entry was posted in Rimmel London, Xoxo Nails and tagged Glitter, Red, Rimmel London, Xoxo Nails. Bookmark the permalink.